Airfoam insulation products are versatile, resilient, budget-friendly, and environmentally responsible solutions for construction applications around the entire building envelope. 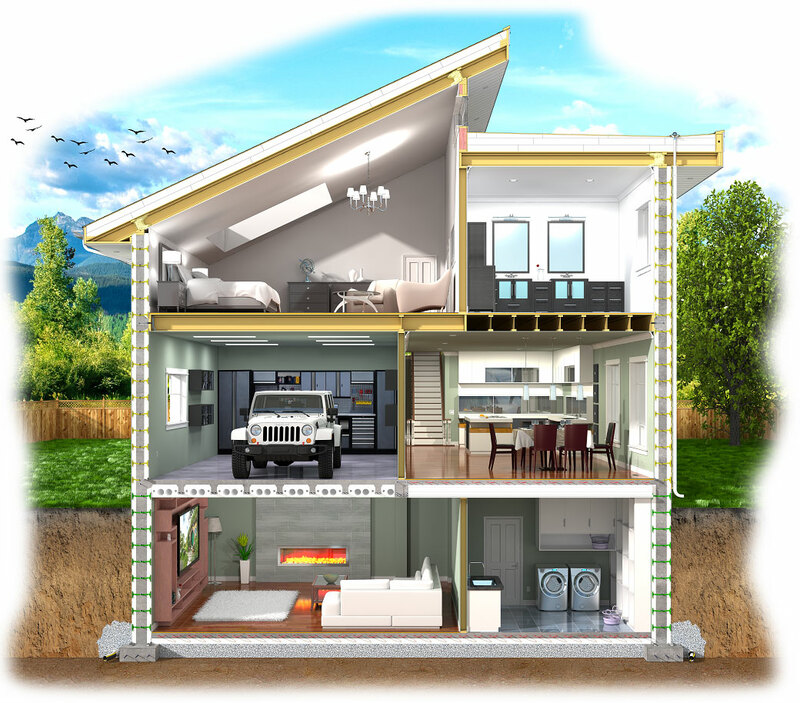 Various insulation products are available to meet energy efficiency and many other requirements for the long lives of buildings. Meets NFPA 285 (contact us) with specific limitations for an exterior wall assembly with EPS c.i. * The test methods used to determine the above material properties provide a means of comparing different rigid, cellular polystyrene geofoam products. They are intended for use in specifications, product evaluations and quality control, but they are not intended to predict end-use product performance. ** The elastic limit/yield point is between 1% and 2% strain. Compressive resistances at 5% and 10% strain are provided for applications where the intended end-use includes plastic (permanent) deformation under load; to limit it, use the 1% deformation values for design. * The test methods used to determine the above material properties provide a means of comparing different rigid, cellular polystyrene geofoam products. They are intended for use in specifications, product evaluations and quality control, but they are not intended to predict end-use product performance. ** Compressive resistance at 5% and 10% deformation are provided for applications where the intended end-use includes long-term (plastic) deformation under load. Expanded polystyrene (EPS) is resistant to mold & fungi per ASTM C1338 and has no nutritional value for insects. To protect against termites place adequate physical barriers such as membranes around below-grade EPS. Solubility: Insoluble in water and in general chemically inert. EPS dissolves in hydrocarbons (e.g. fuels, oils, tar), organic solvents (e.g. acetone/ketones, benzene, paint thinner), ethers, esters, aldehydes and amines. CAUTION: EPS products are combustible and must not be exposed to excessive heat, sparks, open flames, or any other sources of ignition. If stored/used in closed containers, confined, or low-lying areas, ensure adequate ventilation to prevent accumulation of flammable pentane vapours. Prevent inhalation of smoke, fumes or dust from burning or fabrication activities.